There are many different versions of goodbyes but I do not wish to say it in the conventional way. I must say that I am bidding my readers farewell on a high note. It has been 8 long and hard years since I started this wonderful journey raising Holland Lops in Malaysia. My best and worst experiences was obtained through this hobby. I can now look back and cherish all the beautiful irreplaceable moments from the many wonderful births to the friendships that will last for a lifetime. 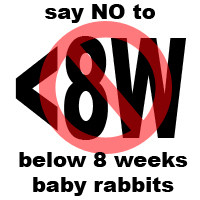 I like to think that I have been touched by the many gorgeous rabbits that graced my rabbitry. 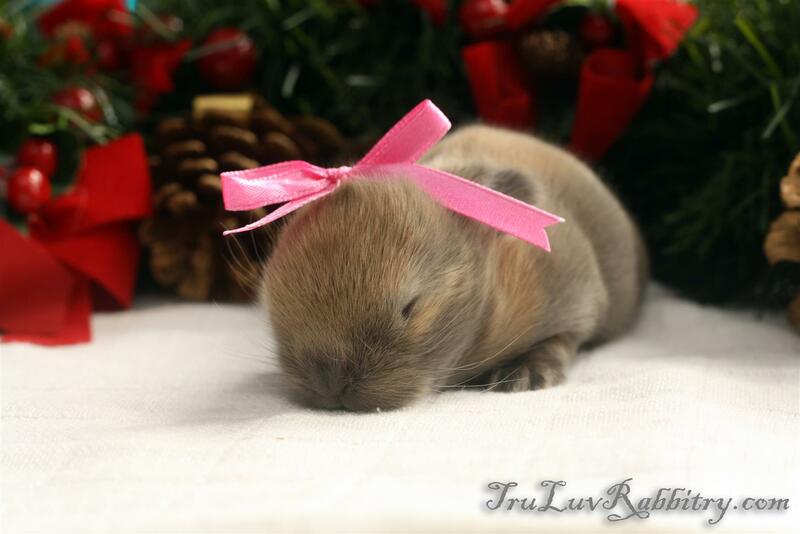 I also hope that those who have been touched and found wonder and love in a Tru-Luv rabbit have had their lives changed forever. 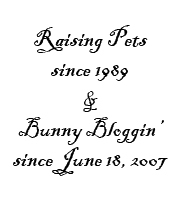 Indeed, every single rabbit I have raised and responsible for bringing into this world have left an imprint in my heart. Just because it is selfish to keep holding on even when it means nothing is the only reason for me to bid farewell. 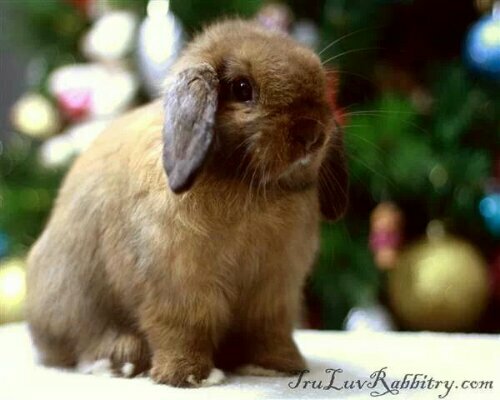 In the words of Don McLean when he sung the song “Vincent”, I can only say that “this side of the world was never meant for one as beautiful as you – The Holland Lop”. 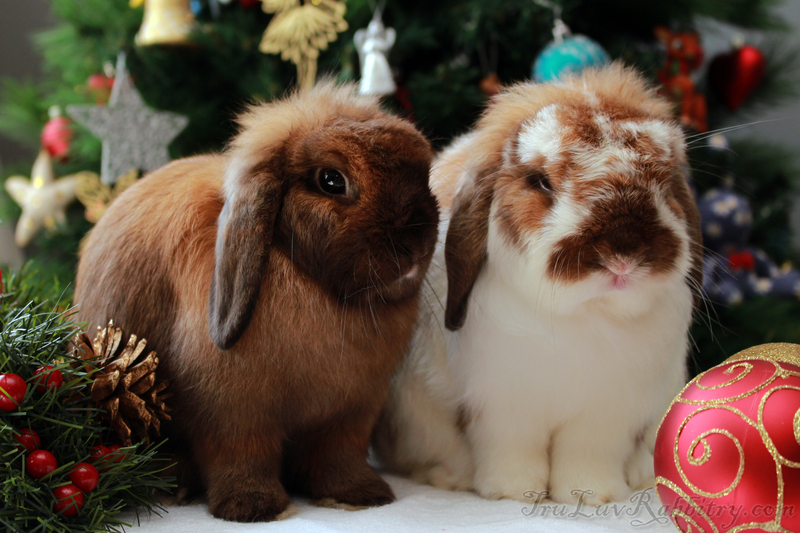 So it has been the tradition for me to capture and share the Christmas spirit through photos of my rabbits in the Christmas theme, the photo above will indeed mark the Last Christmas for Tru-Luv Rabbitry. I want to take this opportunity to thank all my readers and friends for your amazing support throughout the years. It has been a pleasure writing and sharing all these years. I hope you have enjoyed (and continue to enjoy) this blog as much as I have. Here wishing everyone a joyful and warm Christmas wherever you are! 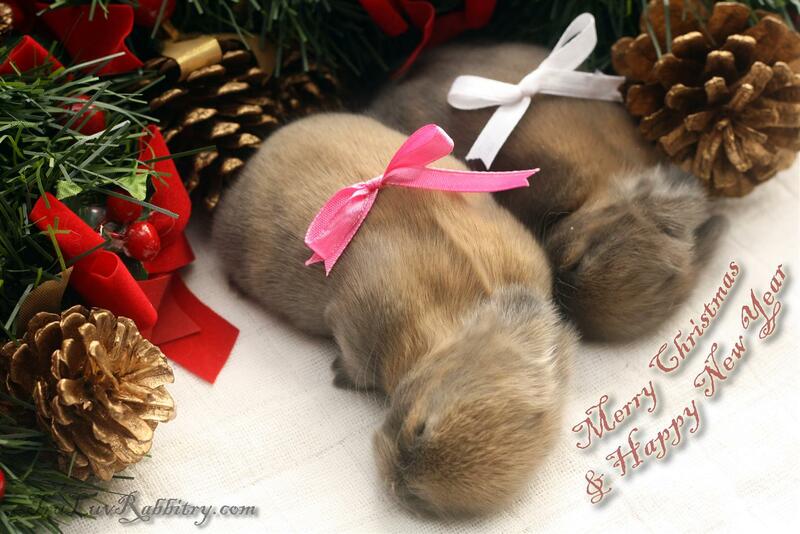 Here wishing one and all Joyful Holidays, Blessed Christmas and a Wonderful New Year 2015! 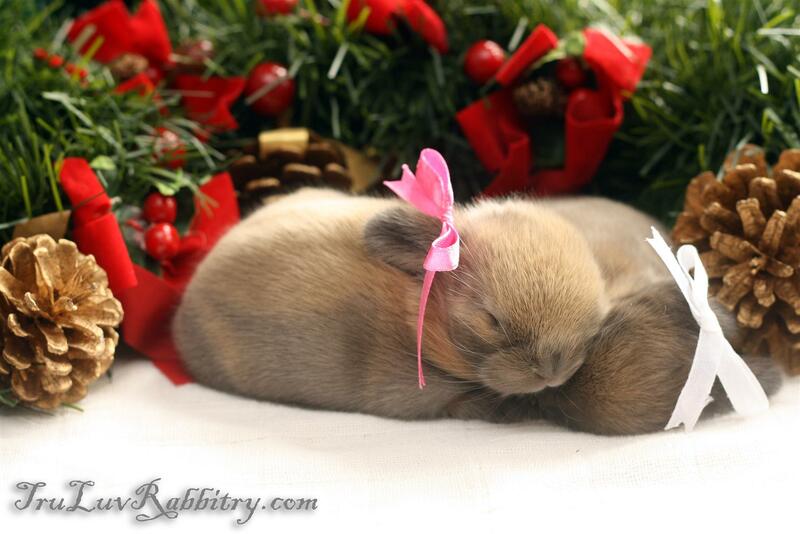 As a yearly tradition here at Tru-Luv Rabbitry, we have just started our Christmas photography session. Here’s a teaser for the season…. Tis the season to be jolly! 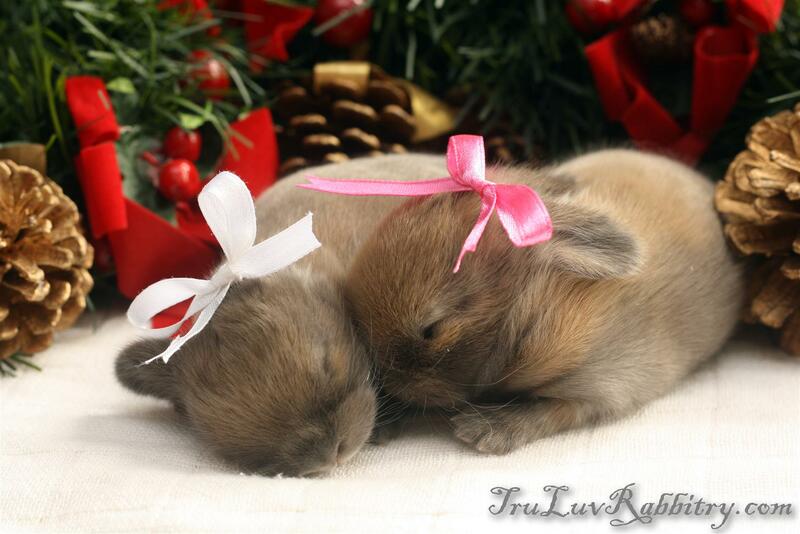 It’s time of the year again that we have Christmas photoshoot at Tru-Luv Rabbitry. 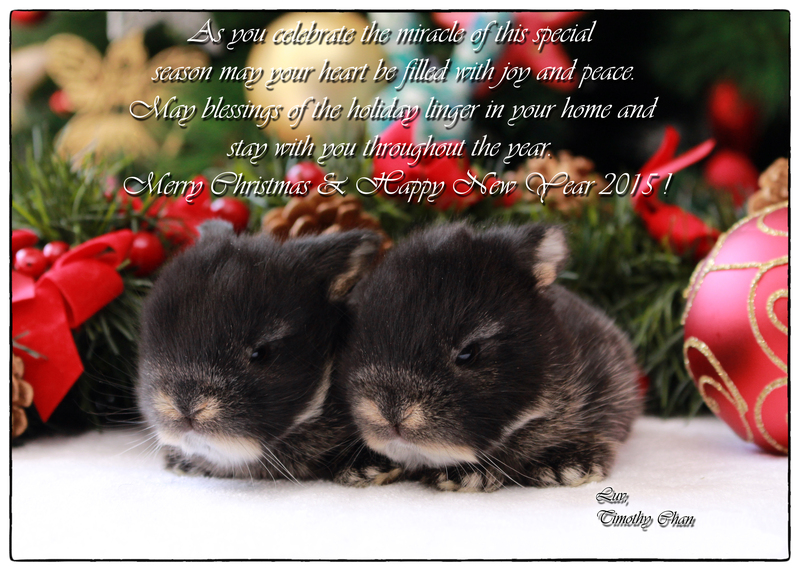 I cannot believe that it will be another year in the hobby and it is always wonderful to take Christmas portraits for the bunnies. The rainfall does help a lot with cooling them down and they are mostly in good condition at this time of the year.